Isn't this a slick idea? 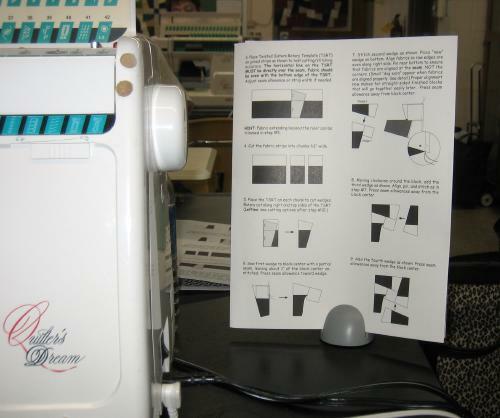 These things are sold in office supply stores and for a couple of bucks you’ll be able to find your pattern, class handout, or anything you have to refer to as you sew, as easy as pie. Put one in with your other workshop supplies. ADDITION: This cool paper holder is called a PageUp.